Berlin Holocaust Memorial built by Jews. This is the kind of regulation they seem bent on achieving in the goyim population where their Holocaust narrative is concerned. Total, unwavering acceptance of their story by all is what Jews are after. 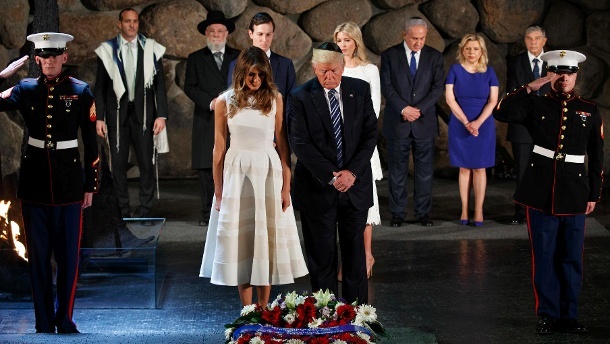 IN 1998, AN ARTICLE APPEARED IN THE jOURNAL OF HISTORICAL REVIEW (IHR) penned by Mark Weber, titled “Jewish Group Demands More Anti-Revisionist Laws.” At that time, only five or six European countries had holocaust denial or hatred incitement laws. Now that number is 19 (virtually all), plus the European Union. Joining them are Israel, Australia and the United Arab Emirates. Challenge to new holocaust prof – first do what no one has ever done: Prove the six million! ISN'T IT TIME TO EITHER PUT UP OR SHUT UP? If historians and the media are going to keep throwing around the 6,000,000 number, shouldn't they have presented some proof for it by now? Instead, the 'proof' marker has gone in the other direction – against anything close to such a number. Read more about Challenge to new holocaust prof – first do what no one has ever done: Prove the six million! 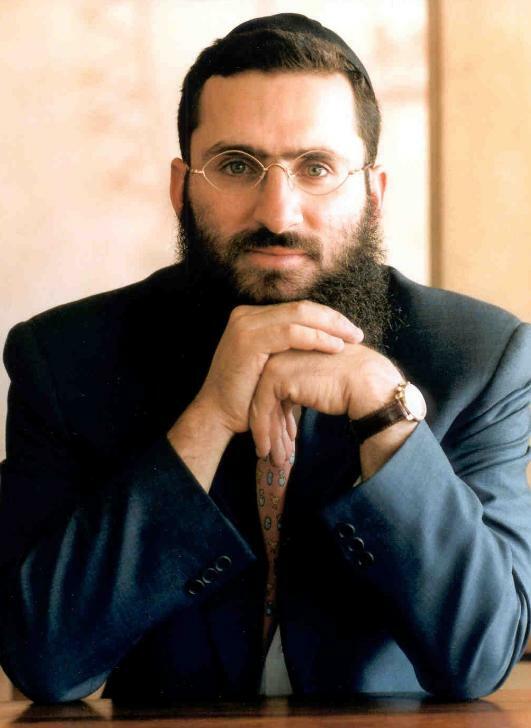 Should The Hill be running articles featuring hate-speech from questionable characters like Chabad Lubavitch rebbe Shmuley Boteach (above)? When is enough enough? THE HILL IS A LONGTIME WASHINGTON FIXTURE WHICH FIRST APPEARED AS A NEWSPAPER in 1994, published by Jerry Finkelstein, now owned by his son Jimmy Finkelstein. Now online as well as in print, it has specialized in reporting about the doings of Congress. Having updated its style a few times, The Hill's current control by Zionist forces has become clear as day. This is nothing out of the ordinary for the American news media, of course, but for some reason I had naively thought of The Hill as more independent. Not so, The definite anti-Trump slant has just been too obvious since Trump was actually elected as president. 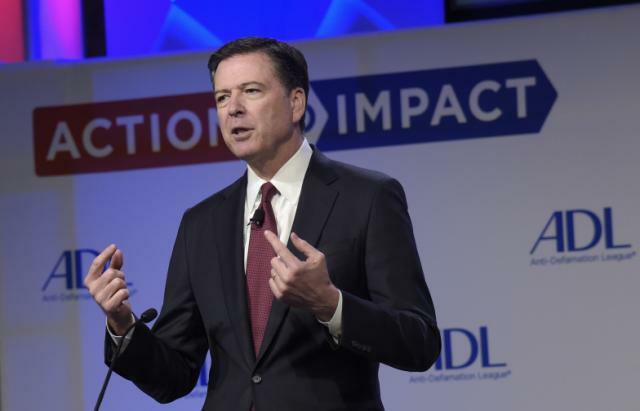 The day before he was fired, FBI Director James Comey gave the closing remarks at the ADL Leadership Summit in Washington DC, extolling the close relationship between the two organizations. HEREWITH ARE EXCERPTS FROM COMEY'S SPEECH AT THE ADL NATIONAL LEADERSHIP SUMMIT on May 8, 2017. Other headliners at the 3-day event were Republican Sen. Marco Rubio (keynote address) and liberal Republican 'strategist' and immigrant Ana Navarro. A video of Comey's full speech can be found here. Comey's words reveal the very special place organized Jewry holds in the USA (no surprise there) and the "special treatment" they enjoy. I like to use the term Special Treatment, and am slowly developing that theme in a future, more comprehensive article, because Special Treatment has been used by the Holocaust Industry “death camp” spinners as code for “selected for extermination.” What was actually being referred to by the SS detention camp bureaucrats was the confiscation and storage of personal and household goods belonging to detainees and deportees, many Jewish. (See Mattogno … Special Treatment in Auschwitz, Origin and Meaning of a Term, Theses & Dissertations Press, Chicago IL, October 2004.) Therefore, the post-1945 Jewish demand for Special Treatment because of the holocaust has quite an irony to it. These are stolpersteines (literal meaning: stumbling stone or stunbling block), concrete cubes bearing a brass plate inscribed with the name and life dates of of those thought to be deported by the Nazis. There are thousands of them in European streets. A COUPLE IN THE NETHERLANDS BROUGHT MORE ATTENTION ONTO THEMSELVES than they wanted when they sought to have a Holocaust memorial plaque removed from the street in front of their house. The plaque was in the form of a brass-covered cobblestone with the name of an an alleged holocaust victim, Joachim Elte, who had lived in their house when he was arrested and deported in 1943. The couple said the cobblestone violated their privacy because they were reminded of death every time they stepped out their front door. They also said they had a child who died and the stone was an “upsetting” reminder of that event.